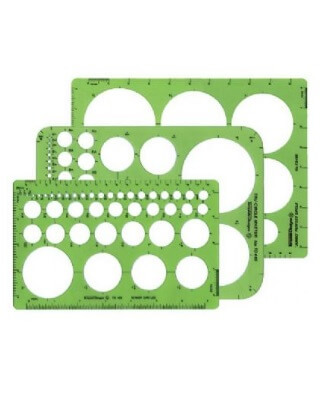 Contains 98 circles on three templates (Nos. TD435, TD445, and TD495). Size range from 1/32" to 3½". Template Size: 8½" x 11" x .030" each.